Illegal armed groupings shelled Ukrainian positions of Ukrainian servicemen near Donetsk and Mariupol 69 times during the last day, according to the ATO press center. There are no losses among Ukrainian militaries; seven were wounded. “DPR” grouping has formally confirmed the occupation of Kominternove in the Donetsk region. There appeared a so-called “directive” of “DPR” “head” Aleksandr Zakharchenko, according to which Kominternove is transferred to “the zone of influence and responsibility of Sakhanska village administration of Novoazovskiy district”. Militants of an armed grouping “Troy” whose dislocation was seized under the order of “DPR” “head” Aleksandr Zakharchenko are distributing a video which shows how a unit commander with the call “Olkhon” is lashing a resident of the occupied settlement of Kommunar. The man perished. Igor Martynov, head of Donetsk occupational “administration” informed that nearly two thousand blocks of flats and nearly six thousand residential houses had been damaged as a result of shellings in Donetsk. Forum “Minsk accords as a basis of the Donbas sovereignty” is held by members of “L/DPR” factions in the occupied town of Debaltseve on February 14. Representatives of “L/DPR” “authorities”, “heads” of Donetsk and Debaltseve occupational “administrations”, experts and political experts who support these organizations take part in the forum. Two lines of people with “DPR flags” were standing along the road when the “DPR” faction “authorities" arrived in the town. Their task was to greet Aleksandr Zakharchenko. 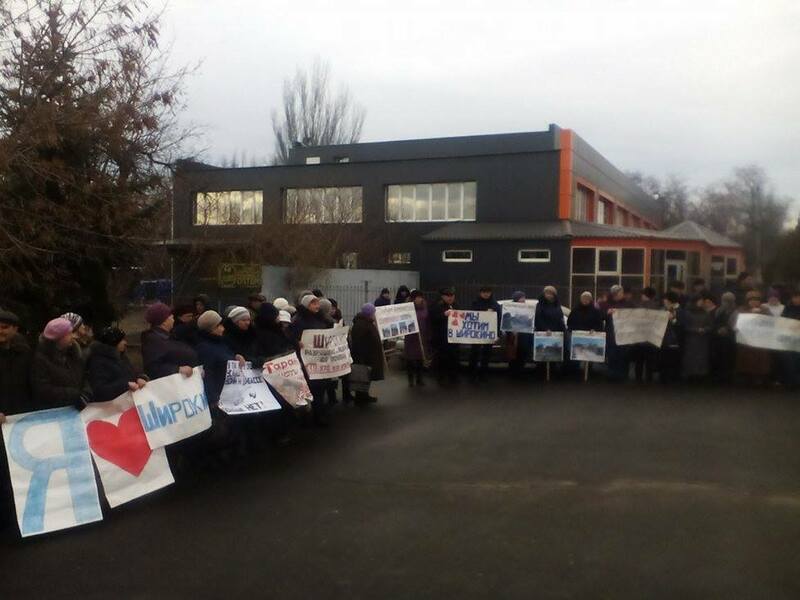 Residents of the destoryed village of Shyrokyne held a rally in Mariupol today, on February 14. More than a hundred people gathered near one of churches. They were holding banners with calls to demine the village and cease the war in the Donbas. People ask to explain what is to be of their houses as Shyrokyne has been nearly totally destroyed. The last residents abandoned the village on February 14.